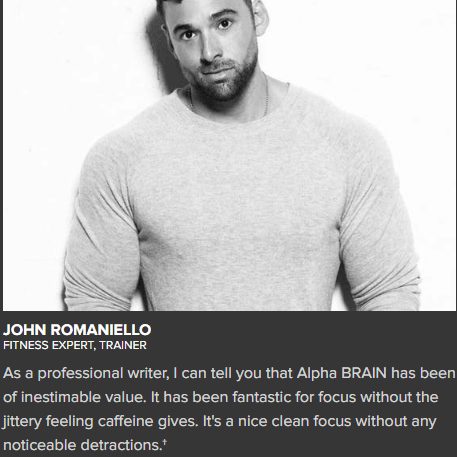 →The Onnit Alpha Brain Review – Worth the Hype? Hello, Adam here from the Health Base team and welcome to my review. Today I will be focusing on one important question – that being do you wish to have better control over your cognitive capabilities? If the answer to the above is yes, then the following piece could very well be worth a small amount of your time. Why? Because in this review I will examine one of the top rated and most reputable nootropics on the market today. While still relatively new in the health supplement niche, nootropics are fast becoming a favorite option for people conscious about maximizing their cognitive abilities and mental health. If you do, then make sure that you take advantage of the discount code to get 10% off: GETONNIT. Who Does This Product Suit? 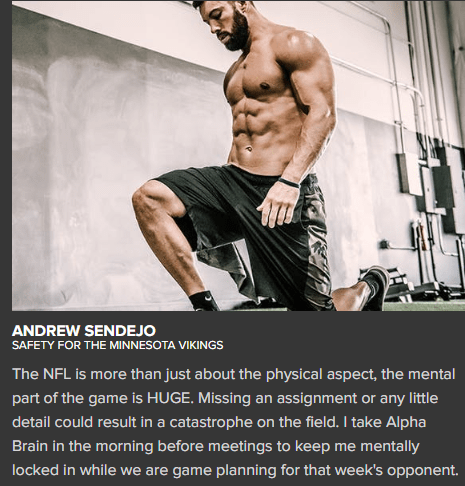 In a nutshell, this product is a cognitive enhancing supplement created and supplied by the Onnit brand - a company that is dedicated to providing products and information that will boost the health of a person's body and mind. 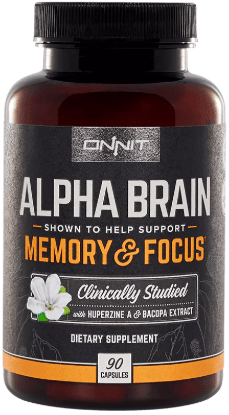 Therefore, this brand is ideally suited when it comes to producing a top nootropic as the very reason these supplements exists – enhancing brain functions and health – aligns perfectly with Onnit’s ethos. So, as you can see, the benefits and uses of such a product are quite impressive. But how exactly does this supplement supply these benefits? We’ll look at this next. The thing that makes this supplement tick, as well as making it super effective, is the ingredients that are included in its formula. This scientifically researched and tested formula only incorporates the top natural ingredients which are guaranteed to pack a mental punch. 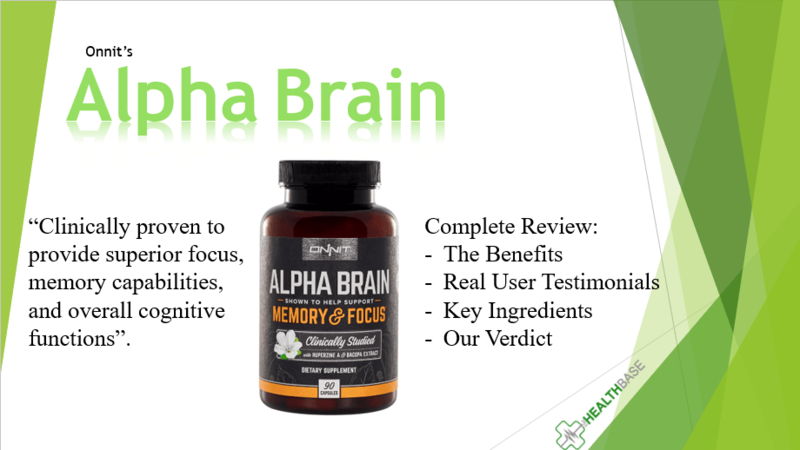 The bottom line is that the Alpha Brain ingredients have been chosen purely because of their ability to benefit the human brain. There are no filler ingredients; no elements that are included to bulk up the ingredient list; but rather just quality elements that are incorporated in the correct dosages. But what do these ingredients actually do? "Alpha Brain can aid you in remembering names, faces, and locations; focus on issues of complexity; and boost your cognitive speed in response to external factors. Whether it be work, school, social events, or athletic competition, incorporating this nootropic into your daily routine takes your brain to that next level." 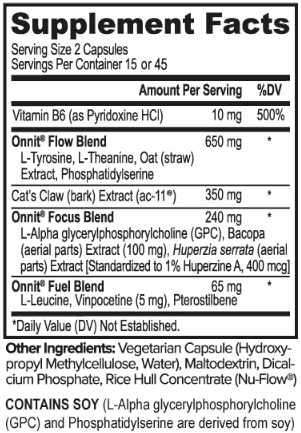 L-Tyrosine: this ingredient works to boost the overall cognitive functioning of the human brain. It achieves this by having a positive effect on the essential amino acids located in the human body. L-Theanine: extracted from green tea leaves, this element has been proven to promote an increase in alpha brain waves. This is massively beneficial in calming the mind and even boosting creativity. Phosphatidylserine: this is used to increase the integrity of the brain’s cell membrane. It’s a phospholipid compound that can be found in a whole host of cognitive enhancers and brain supplements because of its terrific ability to positively impact a person’s ability to retain information - both in the short- and long-term. L-Alpha Glycerlphosphorylcholine (GPC): this is a naturally occurring compound located in our brains, being part of the choline family. This ingredient is key in boosting vitality and the brain's ability to remember. Huperzine A: much the same as phosphatidylserine as this particular element also has the ability to enhance a person’s memory – something that is obviously a key consideration when it comes to these supplements. Vinpocetine: this is a synthetic derivative of another substance that goes by the rather long-winded name of vinca alkaloid vincamine. In terms of its benefits, vinpocetine is employed to combat the aging of our brains. It therefore plays an important role in helping our brains function at optimal levels for as long as possible. Pterostilbene: this ingredient can actually be found in quite a number of fruits, most notably blueberries. We all know that blueberries are super antioxidant agents. Well, pterostilbene is a key reason why this is the case and this antioxidant element is what this ingredient brings to a nootropic. L-Leucine: this substance is a BCAA (brain chain amino acid) and can be located in the proteins of the human body. L-leucine works to slow muscle degradation by causing the proliferation of necessary proteins. This is key in both protecting and optimizing the human brain. One of the great aspects of this product, as well as a massively reassuring one, is that there are clinical studies and research that prove its authenticity. This is an area where a lot of the other “leading” brands can be found lacking. Onnit took the time and effort to conduct not one but two double-blind clinical trials at the Boston Center for Memory. Both trials showed solid in improvements in brainwave patterns, memory ability, and levels of focus. The above points pretty much cover what this product can deliver into your life. It’s multi-beneficial in terms of the different aspects that make up the human cognitive process. The above is, in a nutshell, why this particular nootropic, and others of a similar ilk, are so popular in the modern world. I’ll be honest, there aren’t a whole lot of negative aspects associated with this product. This may sound a bit unbelievable, but if you go through the reviews and testimonials then you’ll see for yourself that there are not too many recurring issues. Yes, of course, no product is perfect and there will always be negative comments here and there – that’s the same for every product or service. However, when you’re weighing up potential Alpha Brain side effects or negatives, you have to look at reviews and customer feedback in a generalized, broader way. There’s no point in reading one testimonial and making your decision solely based on that person’s words, regardless of whether those words are positive or critical. 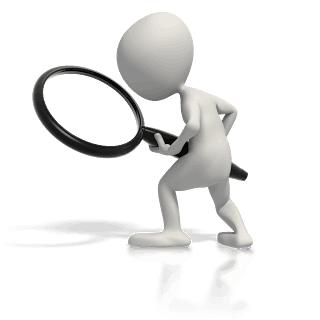 You need to read a tonne of them – only by doing this will you get a true flavor of the product and its quality. With regards to the ingredients, I’ve already explained that this brand only use proven, all-natural elements in their products. So, there is very little risk in this regard. Of course, as is with every health supplement, you'll want to check for any potential allergy issues. In terms of cost, nootropics can vary in price range. This particular one isn’t the most expensive, but it’s also not the cheapest. Therefore, what is the best way to judge what a good price is? Well, this brings me to the final concern that people have – the effectiveness. My personal experience with this product leaves me with no doubt that it is super value. The benefits that you receive are truly phenomenal which ultimately makes the money that you have over seem quite paltry. What’s more, Onnit are always offering free trials and coupon deals when it comes to their product which further increases the attractiveness as such offers boost the cost-effectiveness. A considerably attractive element of Onnit’s products is the money back guarantee attached to all purchases - which they call the Keep-It™ Guarantee. 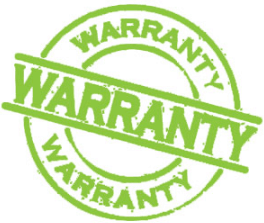 Basically, this guarantee is a risk-free warranty that means you’ll never have to worry about being short-changed. 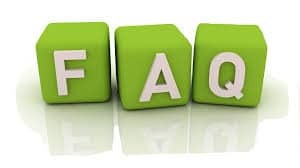 Let me explain – if you buy Alpha Brain, or indeed any of this brand's products, and then for some reason you are unhappy with the purchase, then they will supply you with a full refund, no questions asked. This warranty only covers the first-time purchase of an Onnit product. To me, this isn’t a problem as you’ll know after using this supplement for the first time whether you’re going to stick with it or not. You’ll either be very satisfied and be a repeat customer, or it won’t be for and you can avail of a full refund. It is only valid for the first three months of purchase. Again, this is not an issue in my eyes as you’ll definitely know within 90 days whether or not this supplement is having the desired effects or not. (Note: the reason why these two stipulations have been interjected is to prevent fraud from occurring. Otherwise, some people would simply buy the products and then look for refunds on a regular basis! This definitely wouldn’t be a good business model. Another nifty thing that the good people at Onnit do is to provide a 15% discount for every single one of their products if the customer is a member of the US military service. In my opinion, this is a really classy gesture by this brand, something that is not expected of them but most definitely appreciated. Any steps taken to thank the brave men and women who give their time, effort, and sometimes lives to keep US citizens safe both home and abroad is a real breath of fresh air when it comes to massive brands and businesses. Others should follow this example!! 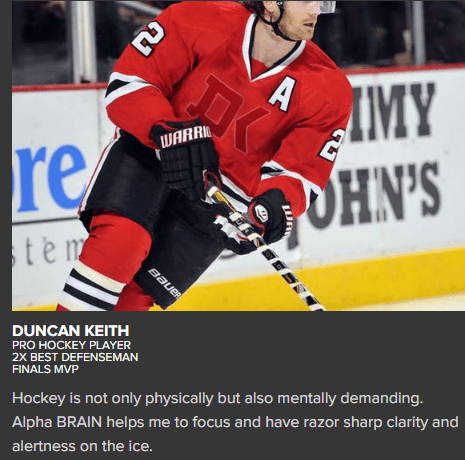 There are quite literally tonnes of alpha brain reviews that can be found online. I’ve gathered a microcosm of these reviews which I believe best reflect what this product is all about. Below are what the top professionals in numerous fields are saying, as well as the verdicts of everyday customers. Joe Rogan is the host of one of the world's most downloaded podcasts - the Joe Rogan Experience. Through this platform, he reaches millions of people. Now, if you are a regular listener to this podcast, as I am, then you'll be aware that Mr. Rogan frequently promotes Alpha Brain and Onnit - often mentioning how the former has positively impacted on his life. With that said, I feel it necessary at this point to note that Joe is actually a partner in the Onnit brand. Due to this, some cynics bemoan that Rogan is trying to sell Onnit products by mentioning them on his podcast...well, of course he is!! Why wouldn't he?! However, think about it. Rogan's podcast is listened to by millions of people on a weekly basis. Do you think he would've gained such a colossal following if he was advertising faulty or useless products? Highly unlikely! If anything, this actually shows just how much faith and belief that he has in Alpha Brain. 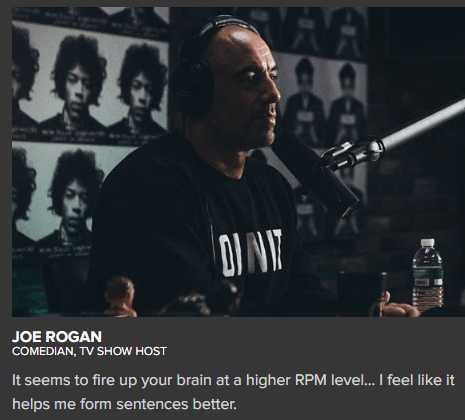 This view is strengthened by the fact that Rogan regularly takes time to attest to the credibility and quality of the products and services that he advertises on his show. My personal opinion is that he seems to be very aware of the influence that he has on millions of people. It therefore makes sense that he's conscious of the fact the if he promotes an unethical or ineffective brand/product then a by-product would be serious damage to his own, and his podcast's, reputation. Yes, actually, there is an Alpha Brain free trial. This offer means you can try out this product without having to make a financial commitment. This highlights the concrete confidence that the creators have in their product. Does the subscription come with any benefits? You can buy this product as a normal purchase, and you can also subscribe and make your purchases as a member of the Onnit family. The difference? They offer a 15% discount on all products for subscribed members!! Nice. The case studies, trials, and customer feedback strongly indicate that there is a strong chance you’ll see positive impacts from this product within the first few weeks. Is it better than drinking coffee? I personally think so yes! Nootropics supply far more balanced and long-term benefits to your mental state than caffeine drinks. Coffee and energy drinks do give you a short term burst of energy, but then there’s the side effects of an energy lull as well as dehydration issues. That's not to mention all the sugary additions that are usually added to such drinks! How do I go about taking this supplement? Easily is the short answer! Simply pop two of the pills into your mouth once daily and you’re set. As with every oral medicine, it’s recommended that you consume this supplement with water or food. This supplement is non-GMO and gluten-free. As such, it is widely seen as being one of the top vegan suitable nootropics on the market today. As of the writing of this article, this brand does offer a 10% discount that is available with the use of the following coupon code – GETONNIT. We live in crazy times in which there often seems to be too few hours in the day in which to accomplish all our tasks and goals. Therefore, it’s no wonder that we can feel mentally exhausted. Just thinking about what you need to do in the coming week on any given Monday can be enough to tire the brain!! I for one can attest to feeling this way every Monday morning! This is where a top nootropic supplement can really prove its worth. Possessing a way of optimizing your mental output will have a dramatic effect not only on your productivity levels, but also in how you go about your day to day life. You will get more done, at a better-quality level, all the while having your levels of stress and anxiousness decrease. Now that I put it into words, it actually sounds too good to be true!! But, regardless, those are the facts. Countless people – yours truly included – are availing of a top-quality nootropic on a daily basis, as is evident by the mountain load of positive feedback and testimonials that surround these supplements. So, if you’re ready to take both yourself and your brain to that next level, then I’d highly recommend you give a top-rated nootropic a go, and you certainly cannot go wrong with Alpha Brain in this regard.